The Gulag—a vast array of Soviet concentration camps that held millions of political and criminal prisoners—was a system of repression and punishment that terrorized the entire society, embodying the worst tendencies of Soviet communism. 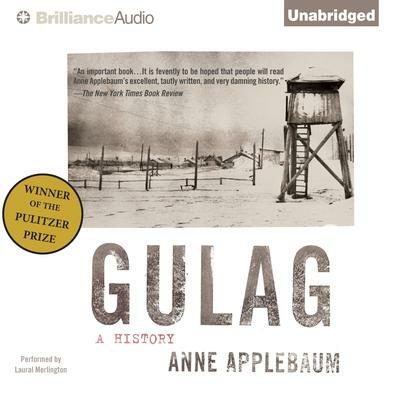 In this magisterial and acclaimed history, Anne Applebaum offers the first fully documented portrait of the Gulag, from its origins in the Russian Revolution, through its expansion under Stalin, to its collapse in the era of glasnost. Applebaum intimately re-creates what life was like in the camps and links them to the larger history of the Soviet Union. Immediately recognized as a landmark and long-overdue work of scholarship, Gulag is an essential book for anyone who wishes to understand the history of the twentieth century.